The NFL football season is in playoff mode right now, which means that the biggest sporting event of the year, the Super Bowl is now only a few weeks away. We know that this is the biggest and most exciting game of the year and we also know that in order to make the most of the Super Bowl and to really live it up the anticipation for this big game,you need to find the right place to see all of the action unfold live. The good news is, we know just what that right place is…and it is right here at Borracha. 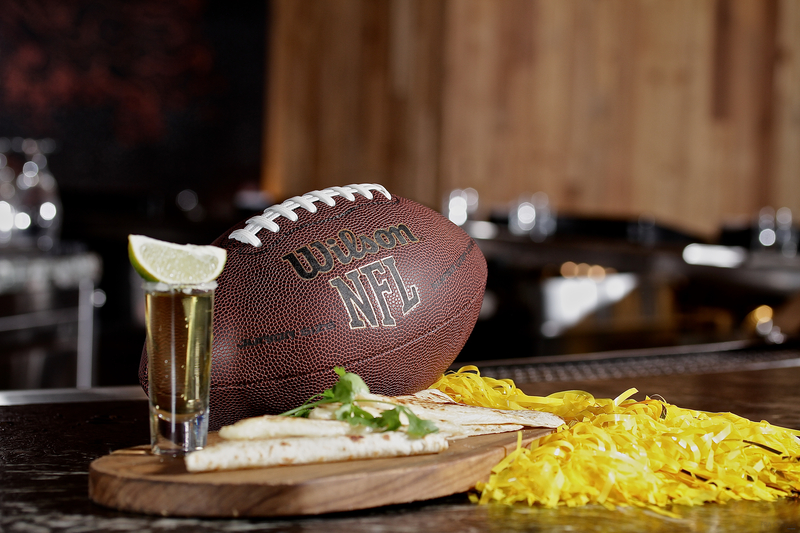 Here at Borracha we know that the Super Bowl is a big deal. We also know that sometimes hosting a Super Bowl party is much more hassle than it is worth. The good news is, we have you covered, with some of the best Super Bowl specials you will find anywhere in Henderson, Nevada. First, let’s start with our specials. 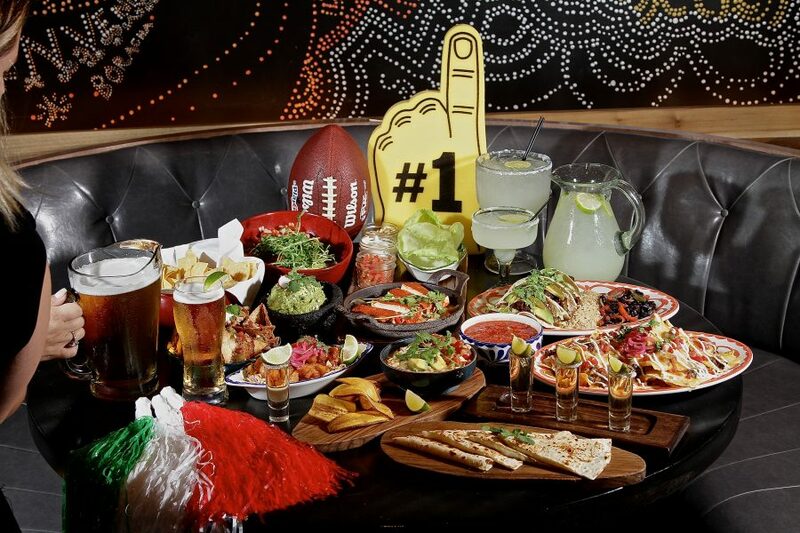 There is only a $50 food and beverage minimum per person to take advantage of these great deals for one of the most exciting Super Bowl parties in the city. Our Super Bowl party doesn’t wait for kick off either. It starts at 2:30 PM, and all of the specials start when the party does. If you have ever been to Borracha before, you know that any food or drinks we offer are some of the best in all of Henderson. 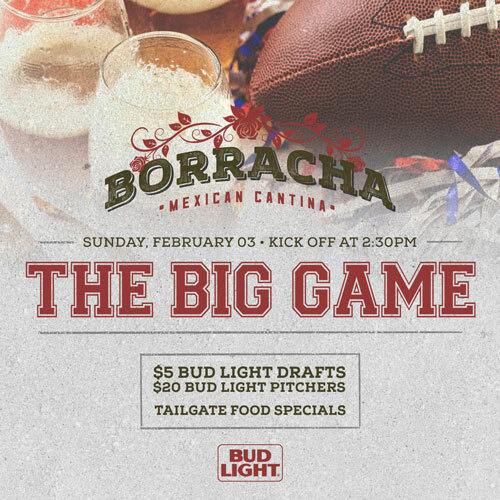 So, no matter who ends up making it to the biggest game in sports, make your plans to come down to Borracha for the big game. There is no better place in Green Valley Ranch to not only see the biggest sports event of the year and to see all of the liver performances and groundbreaking commercials that come with the Super Bowl. So, this year instead of slaving over making your own Buffalo Chicken Dip or squeezing on a couch at your friend’s crowded Super Bowl party, head to Borracha for our Super Bowl event. We are starting the festivities and all of our food and drink specials promptly at 2:30 PM, so make sure that you get there right at the beginning of our event to take advantage of these great specials all afternoon long. Don’t forget, the Super Bowl is Sunday, February 3rd. We can’t wait to see you here at Borracha. Make your reservation today!